A grocery store is once again operating at South Haven Square shopping center at 392 U.S.-6. Save-A-Lot opened its doors April 10. It was announced by Schererville-based Latitude Commercial in November that the Missouri-based discount supermarket chain had signed a lease to occupy 18,500 square feet in the shopping center. Save-A-Lot had been renovating the space since the fall. The space taken over by Save-A-Lot was formerly occupied by Al’s Supermarket, which closed its South Haven location in April 2017. Al’s Supermarket still has locations in Michigan City and La Porte. 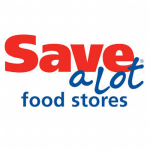 Save-a-Lot has more than 1,200 stores across 36 states. Information on Save-A-Lot’s website notes its stores carry roughly 1,800 different products, national brands and its own label items. The company says it sells what its customers buy most, which helps reduce the need for a large space and eliminates slow-moving products from its distribution. The company, which is part of the portfolio of companies of Canadian-based private equity firm Onex Corp., said smaller stores also translates to lower operating expenses.